Strut your stuff in these sassy wedge heel sneakers. 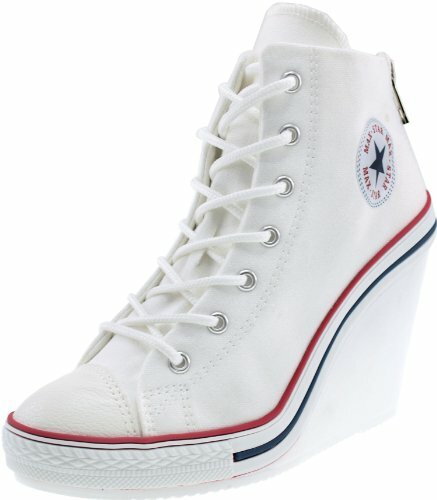 Add extra height and make your statement with wedge sneakers that resemble high top, lift you up, and let you radiate. The zipper hidden on the back provides simple, secure and comfortable closure. If you have any questions about this product by Maxstar, contact us by completing and submitting the form below. If you are looking for a specif part number, please include it with your message.